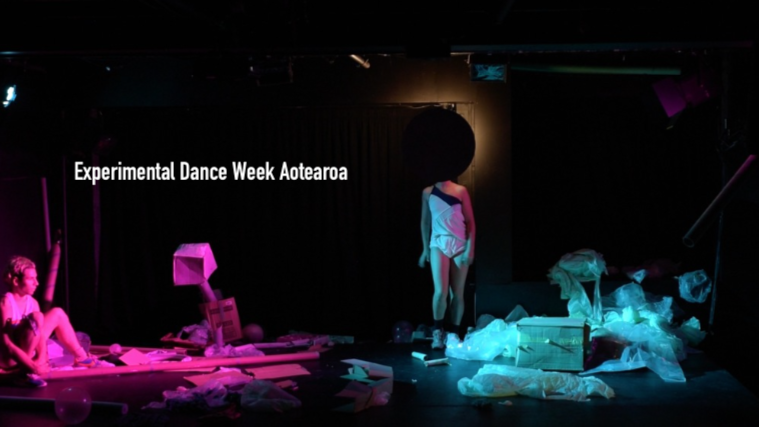 Reflecting an international trend taking the dance world by storm, the boundary-breaking and inclusive craft of alternative dance in New Zealand will be celebrated through the inaugural Experimental Dance Week Aotearoa 2019, running February 4-9, 2019 at Basement Theatre with a Wānanga Kanikani opening as an intro into the week February 2-3rd at Auckland Old Folks Association. After eight years based in Berlin, the award-winning choreographer and creator Alexa Wilson returns home to curate the festival, which will recognise the 20-year history of the liberating discipline in New Zealand. An award-winning dancer, choreographer, collaborator and teacher who has worked in New Zealand and around the world, she choreographed the award-winning Magic Box (2004) and Toxic White Elephant Shock (2009), for which she earned the prestigious title of Best Emerging Choreographer and the Creative New Zealand Tup Lang Award respectively. She returned in 2011 to win four Auckland Fringe Awards for her solo Weg: A-Way. Her work has taken her all around the world, including Berlin, Vienna, New York City, Germany, Belgium, Poland, London, Stockholm, Zurich, India and China, with a canon of choreographed work that includes Star/Oracle (2014), The Status of Being (2014), 21 Movements (2017), The Dark Light (2017), 999: Alchemist Trauma Centre/Power Centre (2018). With a programme packed with high-quality performances from 25 live artists, plus workshops, panel-led open discussions and a book launch, Experimental Dance Week Aotearoa 2019 aims to highlight this unique discipline and foster the growing community of creative minds behind the movement. The diverse selection of artists set to perform are the finest and most eclectic performers in their field, and each will contribute their unique style and perspective to the festival. Artists involved are; Sean Curham, Tru Paraha, Tallulah Holly-Massey, Claire O'Neil, Joshua Rutter, Alana Yee, Cat Ruka, Zahra Killeen-Chance, Christina Houghton, Vicky Kapo, Dance Plant Collective, val smith, Mark Harvey, Julia Harvie, Cathy Livermore, Josie Archer, Kosta Bogoeivski, Aloalii Tapu, Rachel Ruckstuhlmann, Alys Longley, Kyah Dove, Sophie Gargan, Joanne Hobern, and in the publication only also; Alexa Wilson, Oliver Connew, Sarah Bleasdale, Olive Bieringa, David Hall, Anna Bate, Kelly Nash. A book about experimental New Zealand dance contributed to by up to 30 artists will also be launched during the live week to mark 20 years of this new movement of dance in and alongside the wider contemporary dance scene in Aotearoa. A Waananga Kanikani over two days including an opening ceremony and welcome will begin the week at Auckland Old Folks Association on February 2. Off-site performances will also be non-ticketed and DANZ will also hold a hui during the week. New Zealand experimental dance has existed for 20 years since the late 90s and while it began then, it has existed as a "movement" since the beginning of the 21st Century. Defined by convention breaking in both contemporary dance form and concept, experimental dance in Aotearoa has a range of interdisciplinary influences. Performance art, improvisation and contemporary dance all fuse before being interrogated and informed by theoretical, cultural, identity, post-colonial, and socio-political influences. Convention is shattered and from that void, new forms of expression emerge with culturally transformative effects. Original generation time 1.9051 seconds.